Matthew Beatty is the Senior Director of Communications and Engagement. He leads and manages the Foundation’s communications strategies and ensures all efforts are integrated and reflect the organization’s message. He also grows relationships throughout the community that increase the Foundation’s brand awareness. A native Miamian, Matthew attended The Cushman School, where he now serves on the board of trustees, Ransom Everglades School and earned his B.S. in management and M.B.A. in marketing at Florida A&M University. His public relations career includes managing outreach for Baptist Health South Florida, PortMiami Tunnel, National Environmental Education Foundation and numerous other organizations across the U.S.
Matthew has presented seminars at Miami Dade College and Florida Memorial University, speaks on panels regarding marketing strategy, and was named one of South Florida’s 40 Under 40 Black Leaders of Tomorrow by Legacy magazine of The Miami Herald. 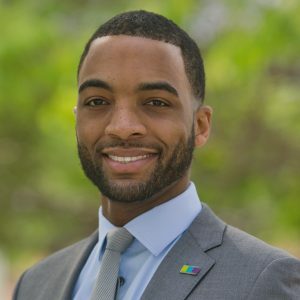 He was also selected to Class V of Connect Florida’s 2014-2015 Statewide Leadership Institute, the premier statewide resource for educating, engaging and inspiring Florida’s top emerging leaders.